Mrs. Ijeoma Ozulumba, is a finance professional with over 25 years’ experience in banking, accounting, auditing, finance and business strategy. She started her professional career at Price Waterhouse (Now PwC) in 1990, in the audit and business advisory services division where she performed audit and consulting work for different companies across all industries, particularly financial services. 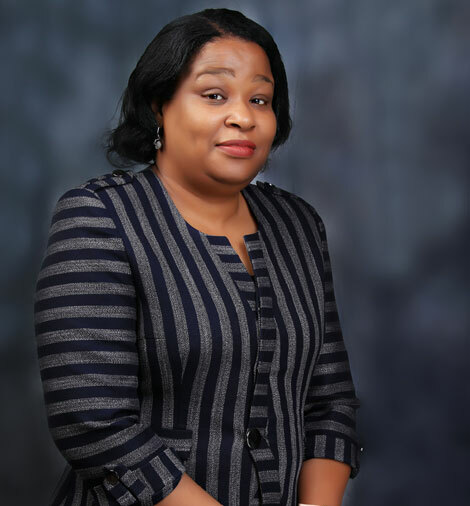 She worked at various times at Diamond Bank, Continental Trust Bank Ltd (Now part of UBA Plc) and MBC International Bank Ltd. (Now part of First Bank), both as Financial Controller, FinBank Plc as Chief Financial Officer, Bank of Montreal and Scotia Bank both in Canada as Basel Risk Consultant and Finance Manager. Prior to joining DBN, she managed corporate budgeting and management reporting for Seplat Petroleum Development Company plc, the largest independent E&P company in Nigeria. She is a graduate of the University of Benin, Nigeria, a fellow of the Institute of Chartered Accountant of Nigeria, a Certified Professional Accountant of Canada, a Project Management Professional, an alumnus of the Lagos Business School and holds an MBA in International Business from Royal Holloway, University of London.